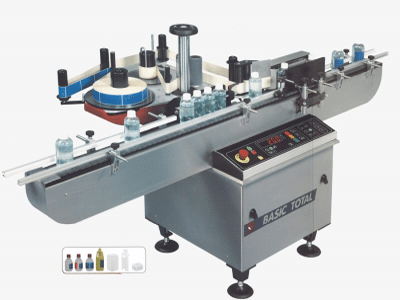 The Basic Total is designed to apply labels to almost any base standing round plastic, glass or metal containers. Easily adjustable to take containers sizes from 20mm to 100mm diameter, the Basic Total is quick to change to different products with minimum downtime. Its compact design allows it to stand alone or work inline with existing production lines and its easy setup and no language control panel ensures it can be used in almost any industry. Available with thermal transfer printer for date and batch code printing and product spacing for maximum performance. For full features, download our brochure.